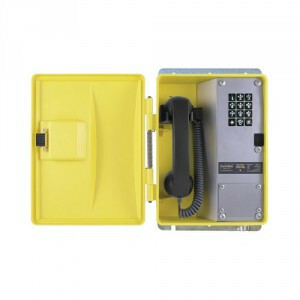 Weatherproof Telephone by Guardian designed for use in Class I, Division 2 and Class II Division 1 & 2 hazardous areas. Renowned for safety and durability, from the phone's electronics to their sturdy enclosure constructed of engineering polymer. The WRT-H's are built for demanding applications where reliability is essential.